Professor Eric Laithwaite was working at The University of Manchester and developed the Linear Induction Motor (LIM) whilst researching the field of Linear Motion. By 1961 he had built a small demonstration system consisting of a 20-foot-long (6.1 m) LIM reaction plate and a four-wheeled cart with a seat on top. In 1962 he started consulting with British Rail (BR) on the idea of using LIMs for high-speed trains. LIMs are basically stretched out electric motors, using the same principle of the interaction of magnetic fields repelling each other which rather than turning a motor propels a metal plate along. 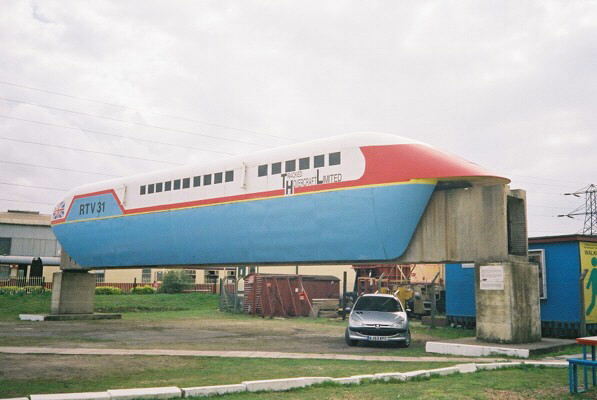 During this time a company called ‘Hovercraft Developments Ltd’ became interested in the concept of LIMs to propel high speed trains and built a test rig at Hythe, Kent in 1963. Their concept was refined until in 1966 a scale model was demonstrated at ‘Hovershow 66’. While the Hovertrain was being developed, BR was running an extensive research project on the topic of high-speed wheeled trains at their newly opened British Rail Research Division in Derby, such a train could use existing rail infrastructure at lower speeds. BR’s thoughts at this time were turning away from the Hovertrain concept due to high costs but the development continued. In 1967 a company called Tracked Hovercraft Ltd (THL) was formed and was given a £1 million pound grant to develop a single prototype vehicle (RTV 31) and a short section of test track. It was at this point that Laithwaite left BR due to his frustration at the lack of funding and joined THL as a consultant. Interestingly during this period the French were also developing a similar concept called ‘The Aérotrain’, Laithwaite managed to secure another £2 million of funding at this point after persuading the government that they were about to lose out on the burgeoning field of high-speed transit! Aerial Photo of the test track. Ex-BR 3’0″ gauge ‘ED10′, a Ruston and Hornsby-built class ’48DS’ 4-wheel diesel mechanical (works No.411322 of 1958) along with two Rolls Royce-engined Austin Champs that were used as ‘prime movers’ and maintenance vehicles. 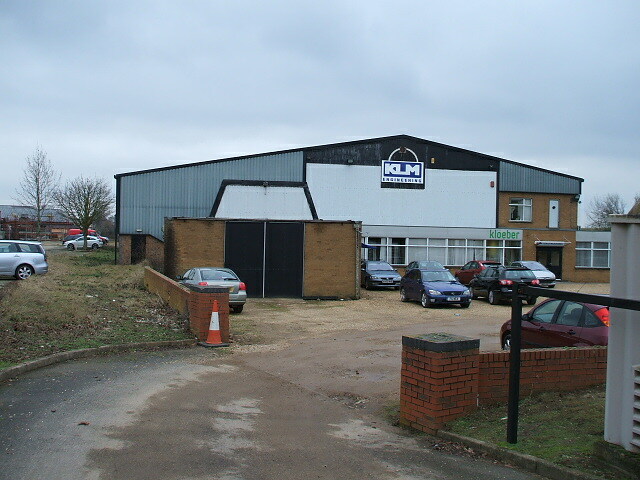 The original ‘hangar’ that housed the Research Test Vehicle 31 (RTV 31) Hovertrain is still at Earith and is now used by an engineering firm. RTV 31 went through several designs before its final version due to some problems with double sided LIM’s at high speed, it was decided to use single sided LIM’s. This led to another redesign of the Hovertrain guideway as a square box girder with the LIM stator attached flat on the top of the box, and the electrical pick-ups below on either side of it. Power pick-ups extended from the rear of the “wings” on either side of the vehicle, and the sparks they threw during operation are easily visible on test runs. On 7th February 1973 RTV31 attained a speed of 104 mph on the 1 mile section of track with an 20 mph headwind. This was heavily publicised and footage was shown on the BBC news. 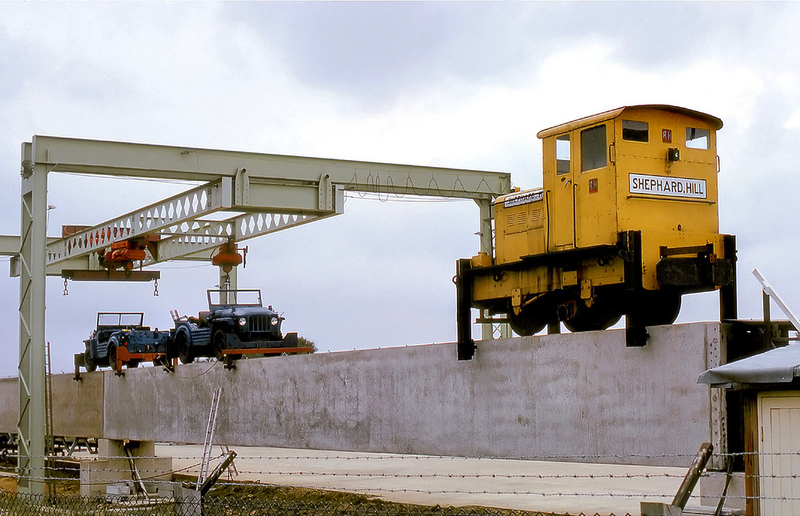 By the time construction had started on Tracked Hovercraft’s test track, British Rail was well advanced on their plans for the steel-wheeled Advanced Passenger Train (APT). The government found itself in the position of funding two different high-speed train systems whose proponents were quick to point out problems in the competing system. To gain some clarity, they formed an interdepartmental working party that studied several potential inter-city transit solutions on the London–Manchester and London–Glasgow routes. The options included buses, Advanced Passenger Train, Tracked Hovercraft, and VTOL and STOL aircraft. Their December 1971 report strongly favoured the APT. Another nail in the coffin for the Hovertrain was the development of Maglev technology, I could go on about the scientific and engineering differences but suffice to say that Maglev was deemed to be more efficient and cheaper! Only a week after the successful test run the project was cancelled by the government, Michael Heseltine who was the minister responsible at the time and stated that the project was too costly to continue and there was no prospect of a system being installed before 1985. 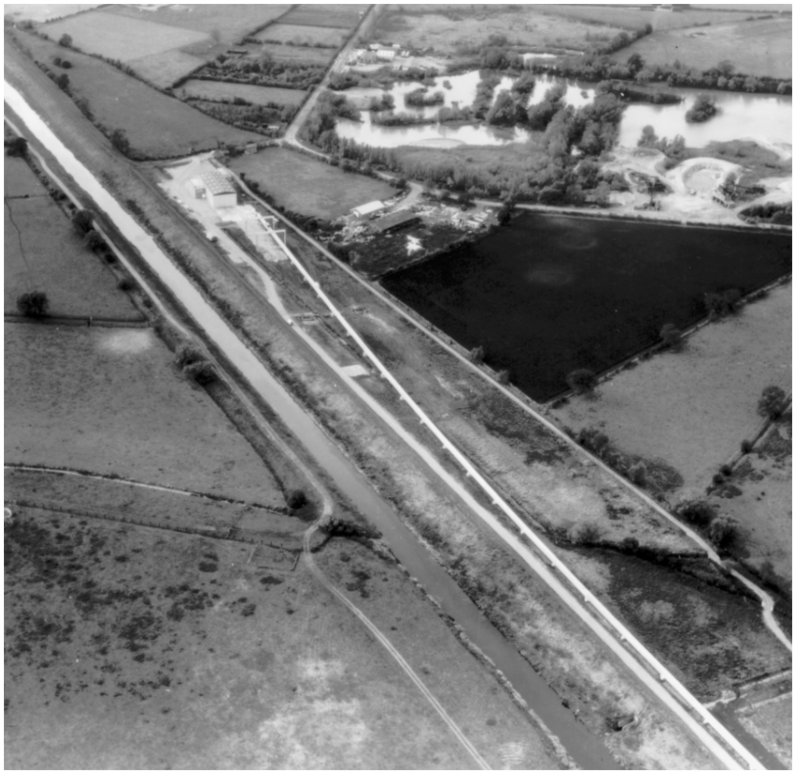 Laithwaite tried to get funding to convert the test track to a testbed for his Maglev design but nothing ever came of it. 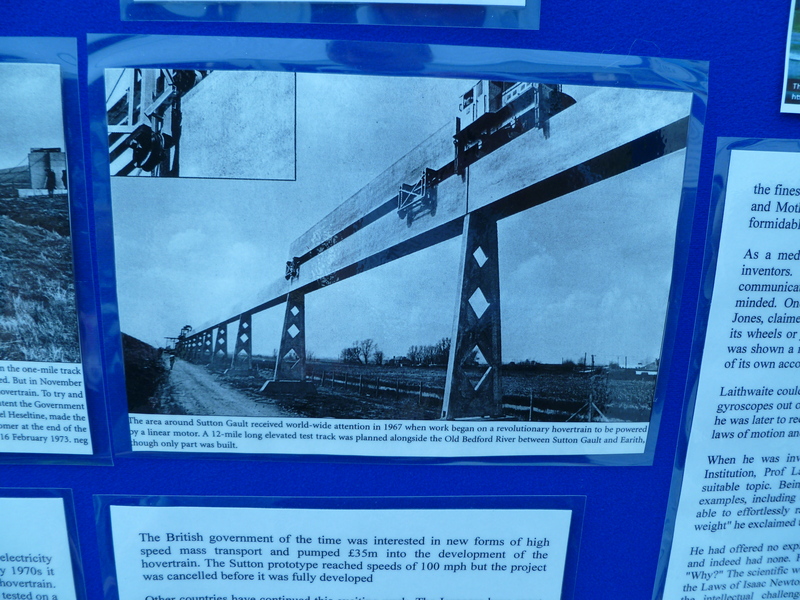 Laithwaite’s work would eventually be used as the basis for the Birmingham Maglev, the first operational maglev system. 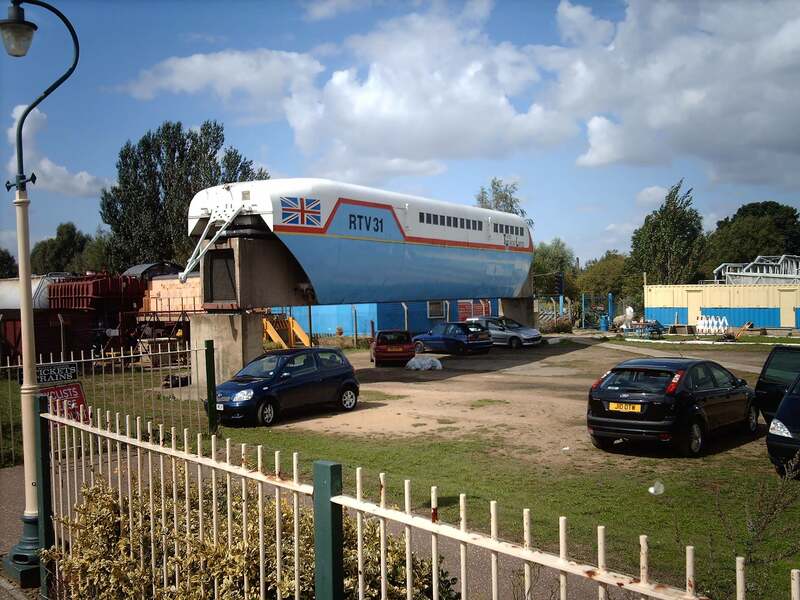 RTV 31 ended up being stored outside at Cranfield University for 20 years before being transferred to Railworld museum in Peterborough where it remains to this day. If you have any memories or pictures that you would like to share of the Hovertrain, we would be delighted to hear from you. This entry was posted in Archaeology, Communication, Heritage, History, Stage 2-Development Phase, Theme 2-Hidden Heritage and tagged Advanced Passenger Train, Aerotrain, British Rail Research Division, Earith, Eric Laithwaite, Hovertrain, Linear Induction Motor, Maglev, Railworld, RTV31, Sutton Gault, Tracked Hovercraft by peteratousewasheslps. Bookmark the permalink.